This is a very broad topic, so I’m going to keep this specific to the context of trading and the power of compounding returns. This is relevant to any financial market traded. Let’s first consider two simple money management techniques a trader can employ into their strategy when trading the markets. 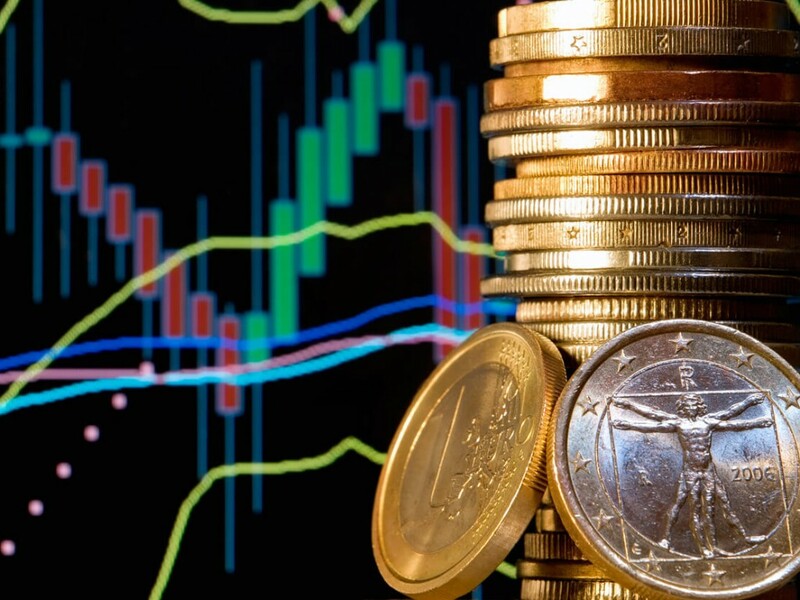 The first option would suggest that no matter what the outcome of the previous trade (win or loss), the same fixed monetary trade size will continue on any future trades. So, how might this apply in the case of a profitable trader? The information above is limited, however it gives us a base in which to construct a visual representation of the growth on each traders account. It’s important to make a side-note here. Here is only one simulation of what a distribution of wins and losses might look like on a line chart. Keep in mind that we could have seen an unprofitable outcome. Because when we’re trading the markets, we never know the outcome of each trade, nor do we know when a string of losses will occur. Instead, over time we should be profitable the more we trade. 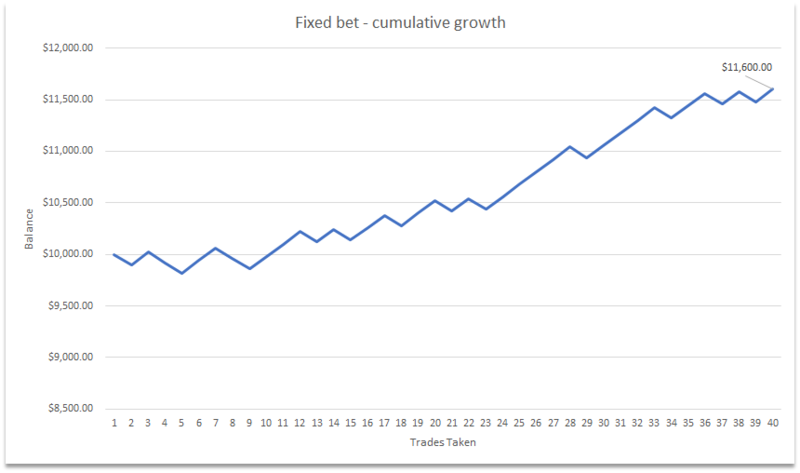 Getting back to the point, using fixed trade sizes above, we can see that this yielded +16% growth: (end balance less start balance) divided by end balance. Using 1% of his available balance at the time Ben opens each trade, over this simulation of 40 trades he’s yield (or made) +9.58% growth. So, wait a minute, the fixed bet size on each trade seems the better option? If you think that now, please let me enlighten you. As I alluded to earlier, these are small simulations (or what a statistician would refer to as ‘sample size’) and it’s not necessarily indicative of what can be achieved ‘over the long-time’. Over the short term we’ve observed Sam achieving a slightly superior return to Ben, however, over the long term Ben has gone on to buying his yacht while Sam is still in his row boat. The only difference between them was that one compounded his gains and the other didn’t. I hope you’ve come to understand there are two lessons within this article. 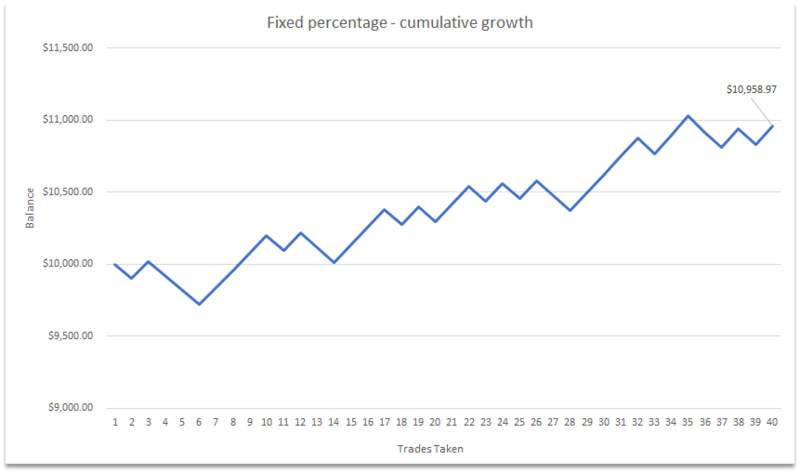 At the forefront, I’m highlighting the power of compounding returns through the use of fixed percentage risk for each trade. And I’m also hoping you’ve also learned that referencing a few trades isn’t always a healthy way of assessing whether your strategy has a positive ‘expectancy‘ which means it is likely to stand the test of time. More on this in future articles.